Do other people’s moods affect you? Do you get stressed when you have a lot to do in a short amount of time? Do loud noises and strong smells bother you? Then you might be a highly sensitive person. About twenty percent of people have a nervous system that makes them especially in tune with what’s happening around them. I’m one of the twenty percent—and it’s likely that you or someone you love is too. When you’re asked, “Why are you so sensitive?” or told to toughen up it can seem like being an HSP is a struggle. But I believe it’s actually a superpower. 1) Relationships – HSPs make great friends, parents and partners. We’re aware of what’s going on in the hearts, minds and lives of those we care about most (sometimes even more than they are). We’re attentive and responsive to the needs of others. 2) Empathy – HSPs actually feel the emotions of others. This is beyond sympathy, which is more like pity. Because of this we’re gifted at making people feel truly heard and less alone. 3) Consideration – HSPs are highly in tune to how their actions impact others. We’re not going to be the ones cutting others off in traffic, talking loudly on our phones in a quiet coffee shop or having too many items in the express lane at the grocery store. 4) Intuition – HSP nervous systems are constantly taking in tons of information. Because of this we often “just know” things in ways that are hard to explain. When we’re making decisions this adds a deeper layer that can give us unusual discernment. 5) Courage – HSPs are tender and tough. Having a soft heart in a hard world is courage not weakness. Kindness is an act of bravery. Engaging with the emotions of others takes guts. Never, ever let someone tell you that being sensitive is being weak. 6) Living Fully – HSPs don’t go through life half asleep. We’re not phoning it in or doing the minimum. We’re engaged with the people around us, the places we’re in and the purpose we’ve been put on earth to complete. 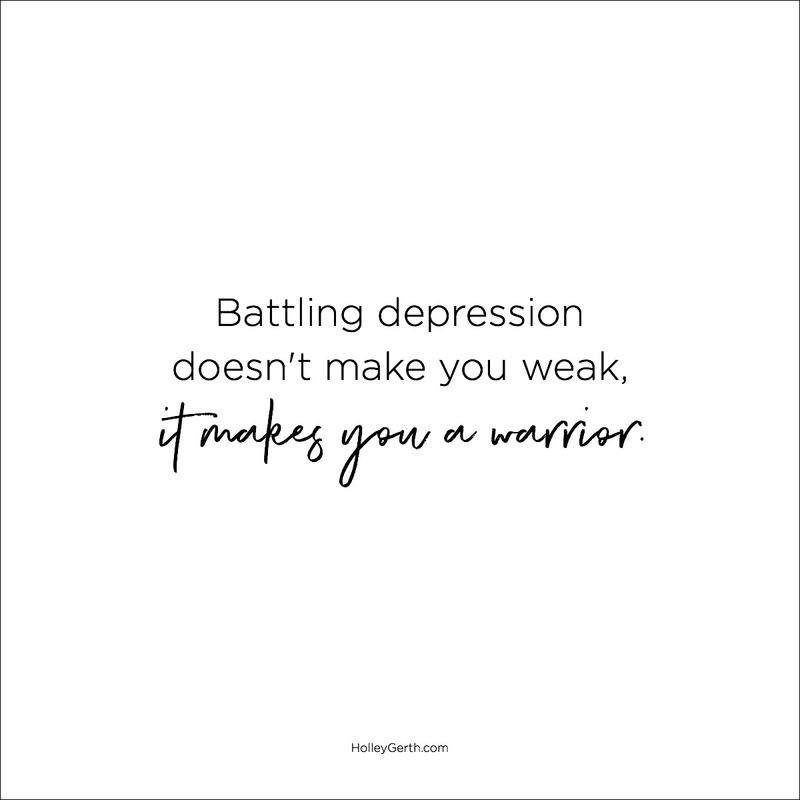 7) Resilience – HSPs are deeply affected by everything from news headlines to heartbreaking news about a close friend. Keeping our hearts open is a battle because it would be so much easier and less exhausting to close ourselves off from everything. We get knocked down and keep getting back up. We’re not weak; we’re warriors. 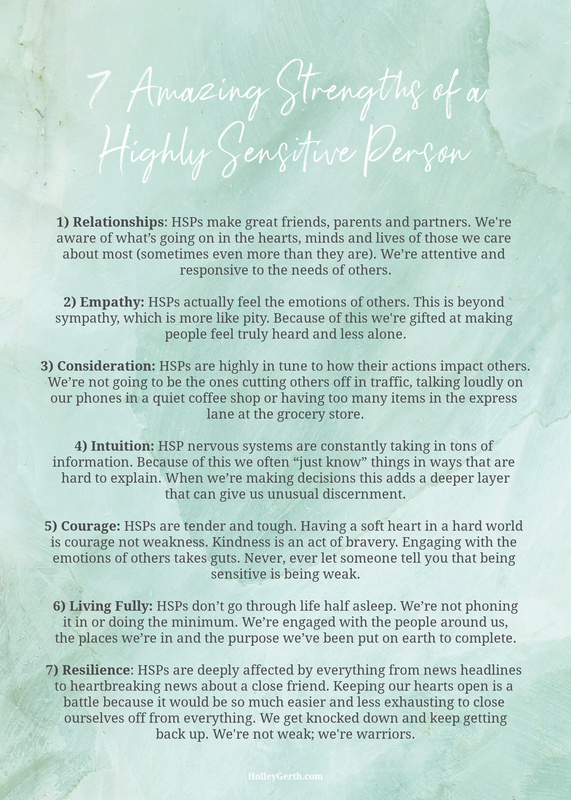 If you want to know whether or not you or someone you love is an HSP, search for “Highly Sensitive Person Quiz” and take it online. If you love, lead or share life with HSPs, will you remind us of our strengths today, especially if you haven’t understood them before? Your encouragement matters more to us than you know. If you’re a Highly Sensitive Person, keep being who you are. Our cynical, bitter world needs you now more than ever. You are here for such a time as this. Your sensitivity isn’t a struggle, it’s a superpower. I’m often asked what to say or do in difficult situations. As a counselor and life coach, I still believe the best encouragement is simply the presence of another person who cares. Even in a professional counseling relationship, research has shown that the connection between the client and counselor accounts for 70 percent of the outcome. If words do come to mind, share them gently with grace and affirmation—the way Jesus does with you. But just being there is enough. 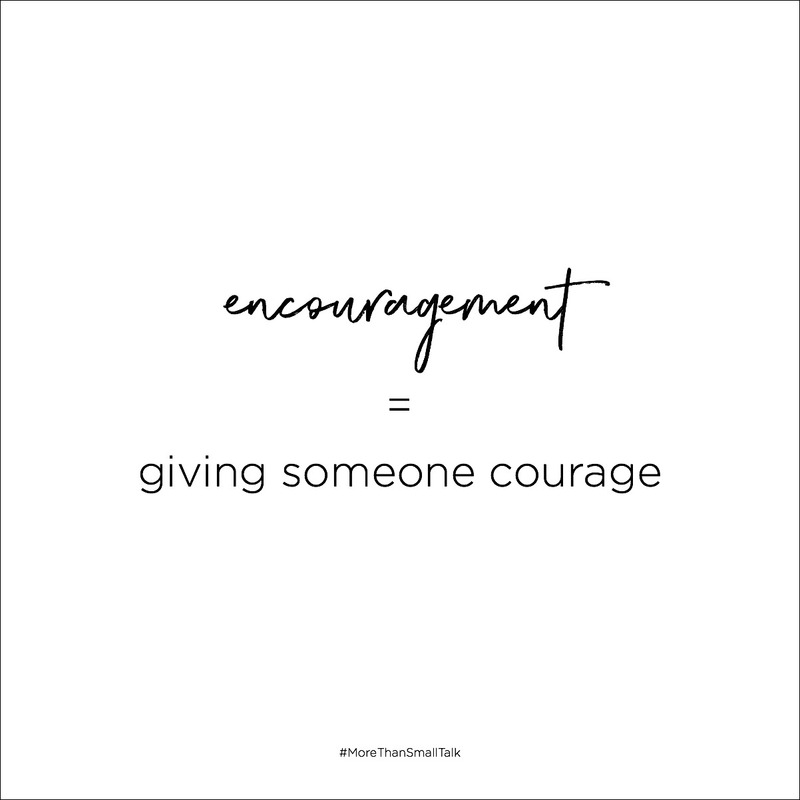 Encouragement literally means to give someone courage. It helps us get back up, face our day with joy, and fulfill the purpose God has for us. It’s more than a simple pat on the back or a feel-good pep talk. It’s fuel for our faith that provides what we need to move forward even on the most difficult of days. You’re an encourager and with God you have all you need to make a difference in the lives of whoever you meet today. Truly. Subscribe free to join my courageous community. Are you in? You value meaningful connection. You want to be understood. You want better relationships. I hear you because I do too. On my wedding day I said an enthusiastic, “Oh, yeah!” instead of a calm, “I do.” The audience giggled. The preacher looked at me wide-eyed. Mark grinned like he’d won the lottery. In that moment I thought I had love all figured out. Then we started day-to-day life together and things became a bit confusing. I thought Mark would leave love notes on my car. Instead he changed my windshield wipers. I thought he would buy romantic presents. Instead he faithfully, consistently paid the bills. Hmm. Ah-ha! I realized Mark’s love language was acts of service (mine is words of affirmation, of course). Once I understood that, I could “translate” his actions in a way that made me feel loved. This had such helpful results that I decided to become fluent in the love languages of the people in my life–friends, family, even the dog (physical touch and bacon, obviously). Then recently my friend Jennifer Watson asserted that there are actually six love languages. In other words, we all have something unique to us that makes us feel loved. Hers? Cake. Yep, it’s that simple. My friend Suzie’s? Silliness. Mine? Naps and or chocolate + peanut butter. Why does this matter? Because when someone understands your sixth love language it communicates in a deep way, I get you. And when we take the time to figure out (or even just ask) someone else’s love language it tells them, you really matter to me. Ask yourself: Which of the five original love languages resonates most with me? Also ask: What’s my sixth love language–something that makes me feel loved that’s not on the original list? Yes, sometimes love is complicated. But, thankfully, sometimes it’s as simple as a new windshield wiper or a crispy piece of bacon. Amen? I’d be delighted to hear about YOUR love languages! Want to go deeper into the love languages? Listen to Episode 12: Your Sixth Love Language on More than Small Talk (my new podcast). You can find it on KLRC or your favorite podcast app. Thank you for making More than Small Talk hit the top charts twice already! You’re wonderful. New to podcasts? Start here. Psychology professor Dr. John A Johnson says there are actually three kinds of selfishness. “Bad Selfishness” – This benefits you at the expense of someone else. Take candy from a baby and you’re going to land on the naughty list. “Neutral Selfishness” – This is basic life maintenance we all have to do. Brushing your teeth may not save the world but it needs to happen. “Good Selfishness” – This turns out well for you and others. For example, exercise, a nap or even a massage might seem selfish but if it helps you to be a more loving friend, wife, mom or coworker then everyone wins. “Good selfishness” also tends to boost our happiness. This might also seem self-centered but bestselling author and happiness researcher Gretchen Rubin has found, “Happy people tend to be more cooperative, less self-centered, and more willing to help other people.” Yep. When you’re in doubt about a particular action, ask yourself, “What kind of selfishness is this?” Then choose option 1, 2 or 3 above. If you answer “3” then carry on guilt-free. It turns out “good selfishness” is actually an unexpected code word for something else: love.